We know that you work on a tight schedule. Getting deliveries to arrive on time is essential, but they also need to be unloaded quickly and efficiently so that your crew can get back on the road and head to the next job. That’s why the majority of our transportation trucks come with liftgates pre-installed for your convenience. Our liftgates are always maintained and tested to be sure that they’re ready for you to put them to work. In addition to being extremely durable, they’re also highly effective at cutting down your loading and unloading times. 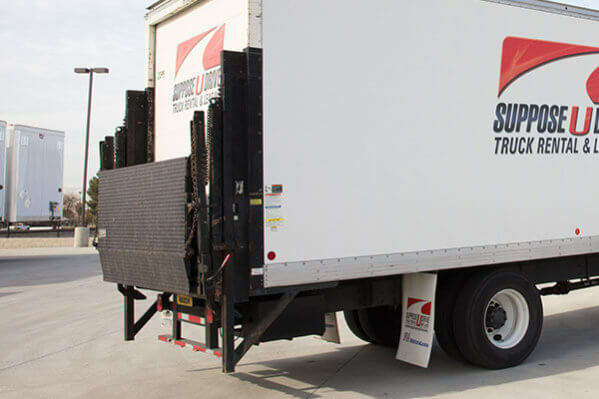 If you haven’t had the chance to regularly utilize a liftgate as part of your routine, we’re certain that you will find them to increase your crew’s productivity ten-fold. 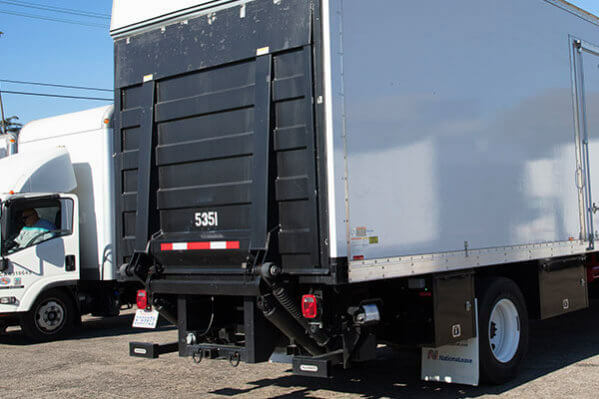 We offer a variety of different liftgate styles to accommodate your needs. 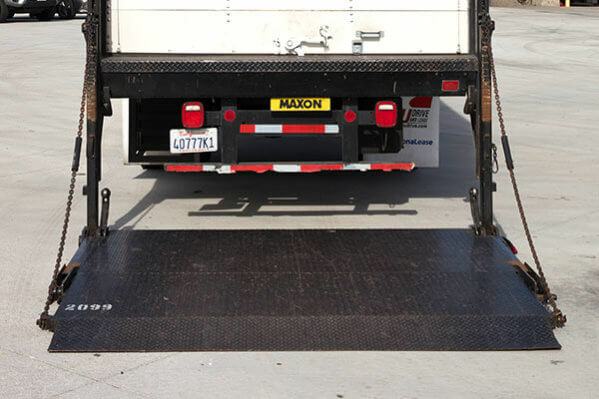 Our tuck-under liftgates slide underneath the truck when not in use, meaning that this style is completely out of the way in case you don’t need to use one. This means you do not have to move the liftgate in any way in the case that you wish to use a forklift or loading dock to get things in and out of the vehicle. We also have rail-liftgates that are easy to bring down for usage and store away when you’re finished. Cantilever liftgates are also an option on many of our vehicles. We offer two brands of liftgates: Palfinger and Maxon. Both of these well-known brands are praised for their ease of use and long-lasting durability. Whenever a truck arrives back on the lot, our maintenance crew puts it through an extensive quality check to ensure that everything is in working order for the next customer. This means that you can always drive off the lot certain that your liftgate, and all other aspects of the truck, will work without any issues. Our liftgates are pallet-sized to accommodate the great majority of jobs you may need completed. If you have a specific request for the brand or type of liftgate, our staff can guide you through your options and show you what we currently have in our inventory. Stop by any one of our three locations today or give us a call and we’ll help you decide which option will work best for you. 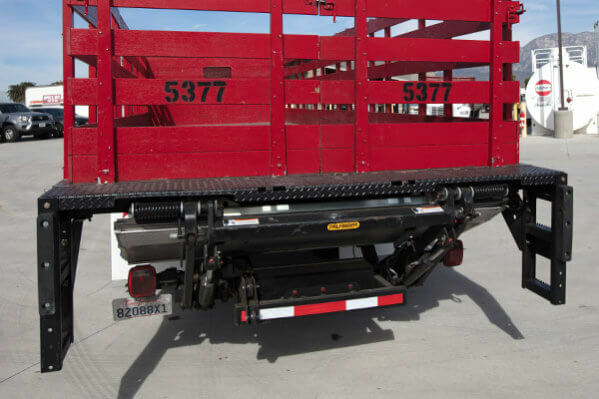 The tuck-under liftgate is designed to stay out of your way until you need it. 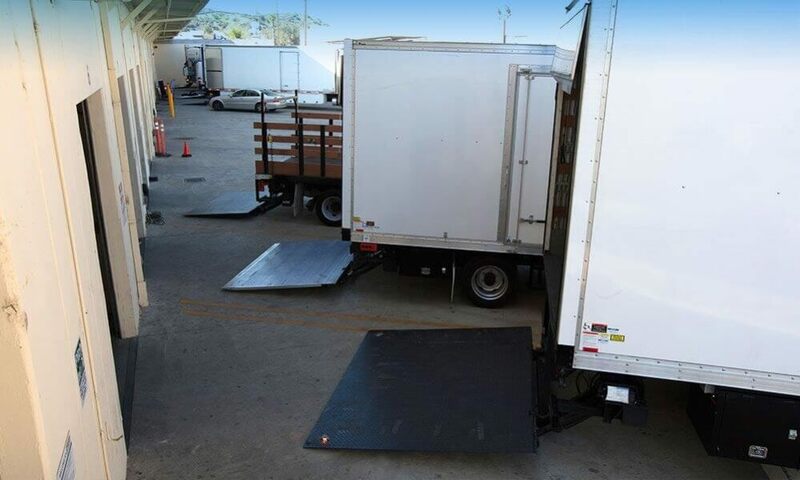 This feature allows for trucks to back up into loading docks unobstructed. 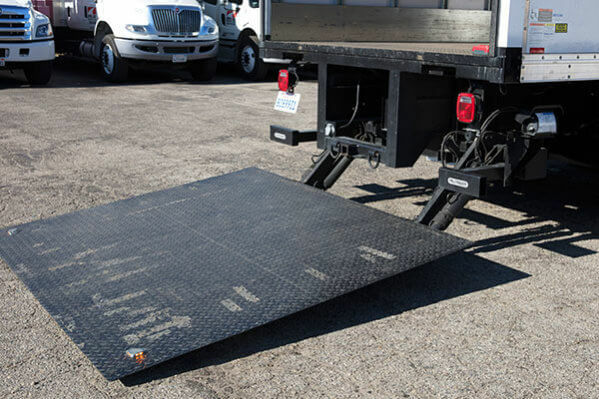 Mounted to rear of the body, this liftgate lays flat against the back of the truck when not in use and provides a large, level platform throughout the process for optimal stability and safety. Ideal for loading/unloading on the street. 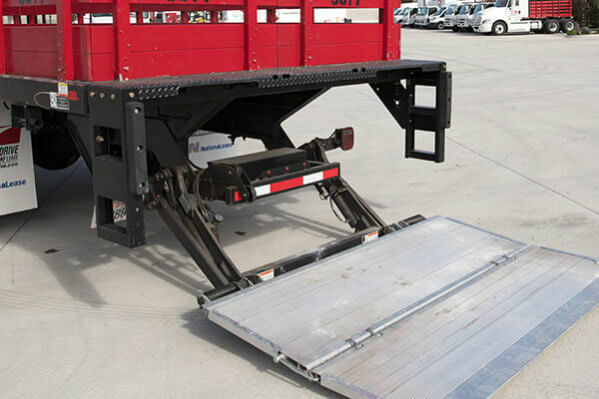 Adjustable tilting platform can keep your cargo level at all times no matter the terrain. The large platform allows the operator to load from either the back or the sides of the platform.